Gardening is fun and can be very rewarding. The vegetables usually taste much better than those you can get at the supermarket, and are certainly fresher. There are several things you want to think about when setting up a vegetable garden.
. You will need a spot that gets enough sun (between 6-8 hours ) for your vegetables to grow well.
. Your site should also have good loose, well drained soil You should avoid windy locations, or at least have a wind break of some kind.
. Also pick a spot that gets enough drainage and doesn’t let water stand. But make sure that you have adequate water for the spot.
. Locate your garden in a convenient spot so that you don’t have to trudge a long way to go play in the dirt. This interesting video goes over some of the basics I talked about in site selection, but he adds that he positioned his garden to take advantage of a natural damp spot in the yard and directed his downspouts toward his vegetable garden. This would be a good idea as long as this did not create a spot that is too damp. One other point he notes is that he positions his plants in such a way that the largest ones are at the back and down shade shorter ones, so that every plant has its time in the sun. I have a rather limited veggie gardening space as my yard is mostly planted with perennials. If you have limited space, consider planting in pots or interplanting with the ornamentals. I am trying planting bags this year for some of my veggies. We will see how that goes.
. Your soil should have good drainage, be easily worked and be deep enough for the roots of your veggies.
. The first year you plant a garden in a site, you may want to do a soil test, to make sure there are adequate nutrients for your veggie garden. Then amend the site based on what nutrients are deficient. When you use fertilizer, whether organic or non-organic, follow the label, since you don’t want to add too much.
. A rule of thumb is to not try to work the soil when the ground is too wet, as this will destroy the soil structure.
. Also, don’t over work it as you may bring up weed seeds that have been underground and compact the soil. The Goldilocks zone is to work the soil just enough to encorporate some compost or other amendments, lightly. Or you can layer these on top of the soil. Garden Soil Preparation in 5 Minutes or Less from Jim Belliston on Vimeo. This video talks about the importance of improving the soil for the overall benefit of your vegetable garden. He talks about the importance of adding organic material regularly each year and on adding fertilizer as needed. He also demonstrates how to dig the amendments into the soil. The only thing I noted that is problematic is the fact that he handled the fertilizer with bare hands. You should always wear gloves to do this. Otherwise, this is a good video on adding improving your garden’s soil. You should have some basic garden tools. (See Gardening Tools for a full discussion of the tools.) There are many tools available, but a few basic ones are all you really need to get started. You will need some digging tools.
. A good shovel is important to have. My favorite is a long narrow shovel. I can dig deeply in a fairly small space. I do have larger shoves and smaller ones, but my long narrow one is the one I use most.
. Likewise, a garden fork for loosening the soil and digging is an essential tool to have. This is one tool I can’t live without. I think I use it even more than my favorite shovel.
. You should also have some kind of cultivator, like a hoe or twist cultivator. My twist cultivator not only loosens up the soil, it can also grab weeds and lets me take them right out.
. Weeding tools are very helpful. My favorite is the wing weeder which cuts weeds off just under the soil. My twist cultivator is right up there too.
. A good garden rake is essential for leveling the soil after cultivating the soil.
. You should also have hand tools like a trowel for hand digging as well as a hand cultivator and garden knife.
. Other equipment, like remay (floating row covers) are used to protect tender plants from the cold and from pests, twine or twisties are good for tying plants to supports, and the plant supports themselves.
. An assortment of watering equipment, such as hoses, hose nozzels and watering cans are essential to keeping your garden watered.
. You will also want to have some kind of wheel barrow or garden cart as well as tubs for carrying stuff or collecting weeds.
. Beyond the basics are power tools, like rototillers or shredders. This is the easy part. Just list the kinds of things you like and would like to grow.
. Think about how much you would like to have and how much space you have.
. Consider whether you want to can or preserve any of the produce.
. Make sure you select vegetables that are suitable for your area. Check the growing time if you live in a northerly location. I sometimes find growing tomatoes a challenge due to the cool summers and long growing times. They sometimes don’t ripen before fall sets in if the summer has not been hot enough.
. Plant a row for the hungry and donate extras when the harvest comes. (You are sure to have food banks in your area interested in extra harvest. There are several different planting systems. You will want to decide which one to use.
. The traditional row method consists of long plowed rows, into which you plant your seeds or plant starts. This takes a lot of space, but is ideal for a large garden in which you can use some power tools. The down side is that weeds can encroach fairly easily due to lots of sunny spaces.
. Raised beds are perfect for the home garden. They consist of boxes or other shapes, 6-12 in height or more. Such beds warm up faster and provide a planting area that is adaptable for folks with disabilities to continue gardening. They encourage closer planting and less weeding.
. Wide beds are a cross between the traditional row and the raised bed, only that the soil is mounded into a long, wide row. No need for constructing a bed. This is the method that I have used most frequently, and it has worked very well for me. Since my current garden has little space for a large veggie garden, I am experimenting with planting bags made of woven polypropelyne. I would like to try one of the collapsible ready made raised beds that I can squeeze into a sunny spot in the garden.
. Square foot gardening has been around for quite awhile. To use this method you decide upon what you want to plant and then plant your vegetables in a grid system, taking advantage of a lot of vegetables in a small amount of space. I have tried this system in the past, but due to the cool nights and lots of moisture that we have in the Pacific Northwest, I found that fungal diseases were a bit of a problem due to the closeness of plantings and reduced air circulation. I may try it again since my current location is a little warmer and dryer than before. In any event, I would not plant tomatoes in one due to the risk of late blight. Once you have selected the planting system, made your garden beds, prepared your soil and selected what you want to plant, it’s time to start planting when the weather is right.
. Plant your tallest plants in the back and the shortest ones in front.
. Group your plants by growing period, so that when your cool weather crops, like lettuce or spinach are done, you can plant some summer or fall crops to follow them.
. Be sure to rotate the crops in your garden from year to year, so that last years plant disease has less likelihood of becoming this years plant problem. For instance, I had a little late blight on my tomatoes last year. I am making sure tht I put my tomatoes somewhere else this year.
. Use your seed packets as a general guide for when to plant. However, each location is different, with many different micro-climates. This can make a difference regarding when to plant. 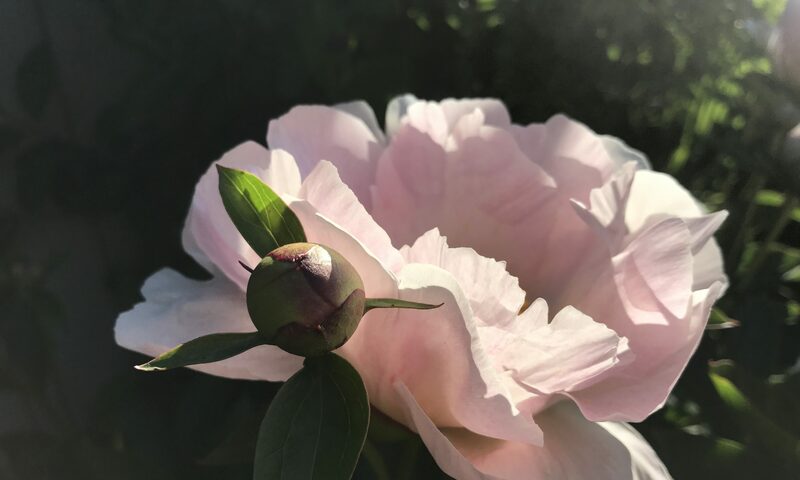 For instance in my last house, the same kind of plant would flower two weeks earlier in the front yard than in the back yard in full sun.
. You can check with the master gardeners in your area for planting times for the thing you want to grow. Also, garden centers and planting guides for your area are a big help. Talk to neighbors who garden to find out what they do. You should be able to find out when is the best planting times where you are. If you set out plant starts or start your own, you should start finding them in the nurseries a little before you need plant some of them. So wait a little bit before you buy, or if you do buy, keep them protected until it is time to go into the garden. You won’t want to forget about making sure your vegetables get enough water.
. Soaker hoses are a good option as they don’t let water get on the foliage, reducing the risk of fungal diseases.
. It is always best to water early in the day so that your garden doesn’t stay wet at night.
. You can set your watering system on a timer, although this is not a substitute for checking to see whether your garden needs to be watered. It is important to learn about different diseases and pests that can attack your garden.
. You should decide whether you will use any kind of pesticides. 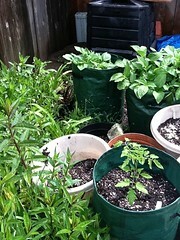 The fun part is watching plants grow and vegetables ripen in the home garden. From garden site selection and considering the kind of soil you have to choosing vegetables to grow and developing a garden layout, planting your garden and managing garden pests; vegetable gardening is fun. And the harvest can save you money on food and give you much tastier vegetables than those from the supermarket. Have fun gardening. I am extremely inspired along with your writing talents and also with the layout to your blog. Is this a paid subject or did you customize it your self? Either way stay up the excellent high quality writing, it is rare to peer a great blog like this one nowadays..